Ever been short on cash? We all have! 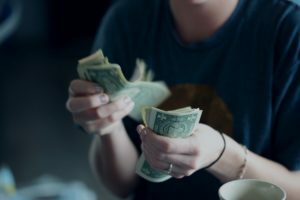 Unexpected expenses and bills can pop up all the time, and if you live on a tight budget like most people, it can be stressful to choose between paying that bill and taking care of your usual living costs. If you find yourself in a pinch, don’t stress–the loan experts from Tio Rico Te Ayuda are here to help! Offering quick and easy title loans that are short-term and stress-free to repay, Tio Rico is the best solution for everyday financial solutions. At any one of our offices you can walk in with your simple documentation, (simply an automobile title and a driver’s license), and walk out in a little as 30 minutes with your cash in hand! The cash is yours to use on whatever you need to. Your loan consultant will work with you one on one to determine the best repayment terms for your individual budget and payday schedule during the application process, so there will be no surprises! There are several options for conveniently repaying your title loan. Visit any one of the Tio Rico locations in Casa Grande during business hours, pay over the phone, pay online or even make an after-hours payment at one of Tio Rico’s secure drop box locations. Anything you wish! Use your title loan cash (usually between $1,000-$2,500) to pay an unexpected bill, make a home repair, replace an appliance, prepare for a holiday event, or anything else you need–what you spend your cash on is entirely up to you! It’s easier than you think! If you are over 18 years old and have a car and certificate of title, you’re qualified for a Tucson title loan from Tio Rico! Depending on how much your car is worth and how much you owe on it, you will qualify for a certain amount of instant cash. Simple as that! If you have any questions, simply call us today and we will explain the process to you even more thoroughly–or better yet, stop into one of our Casa Grande locations to speak with a friendly, professional loan consultant and walk out with cash in hand!